UCCE Master Gardeners of Santa Barbara County are volunteers who are trained to provide science-based information, workshops, and educational programs for home gardeners. 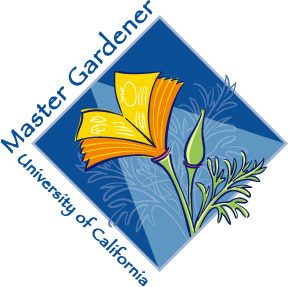 Resources offered by Master Gardeners include plant and pest identification, best practices for problem-solving, soil health and compost production, and cultural guidelines for growing a wide variety of edible and ornamental plants suitable to Santa Barbara County. UC Agriculture and Natural Resources. Master Gardeners Make a Difference! In 2017-18, Santa Barbara County Master Gardeners contributed 4,618 volunteer hours and earned 822 continuing education hours as part of their annual commitment to the program. 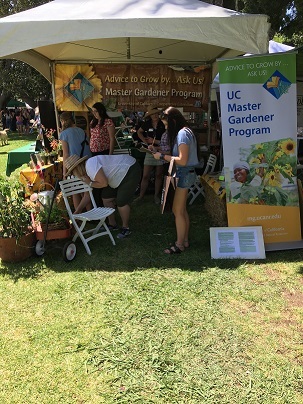 Nearly 4,000 Santa Barbara County residents were contacted by Master Gardeners who presented free public workshops at the downtown Central Library, hosted regular information tables at Santa Barbara Farmer's Market and for special regional events such as Earth Day and the California Avocado Festival. Volunteers also responded to telephone and email inquiries from residential gardeners through the Master Gardener Helpline, and interacted with visitors to our project sites around the county: La Huerta Historic Garden at Old Mission Santa Barbara, the Butterfly Garden at Alice Keck Park Memorial Garden, Mesa Harmony Garden, and our newest project at Santa Barbara Botanic Garden. The value of our volunteer service to the community during this period was $134,337.62.